Peak Oil definition: Peak oil is the point at which we can no longer increase the amount of crude oil we extract from a single oil province or group of provinces. 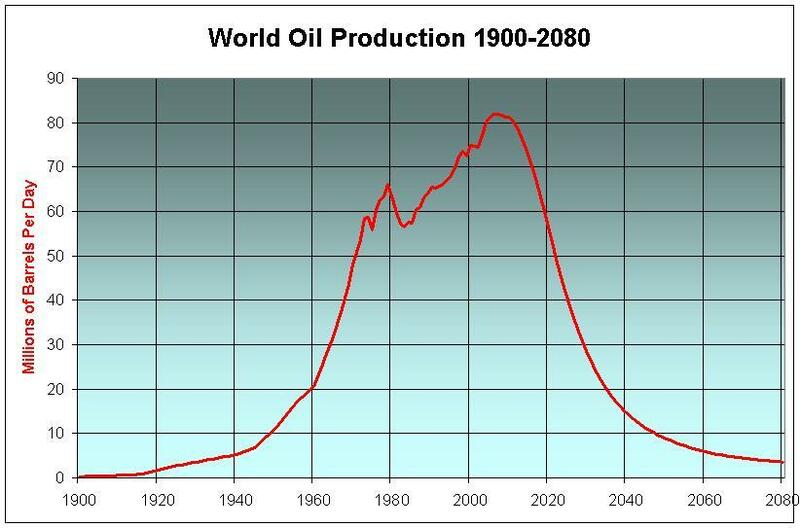 The term Peak Oil is usually used when refering to the entire global production of conventional oil. Peak Oil typically happens when an oil province has extracted roughly ½ of all the oil that is ever going to be extracted from that province - it is not when the oil runs out. After this, global petroleum production goes into irreversible decline and thus prices increase. It is generally thought that the global Peak Oil point will happen between the year 2000 to 2010 and may have already happened. Australia reached it's peak oil point at about the year 2000. The picture shows the 98 oil producing countries. The countries in red have passed their Peak Oil points. The result is much higher oil and petrol prices due to supply not meeting demand. The Energy Trap. An interesting read about the decline of cheap energy and the trap in needing fossile fuels to build new renewable infrastructure.